The weather has played pretty fairly, and most of the aircraft due in have made it, whilst a few other crews came by road. The AIRBASE venue has been very welcoming and well received in return. 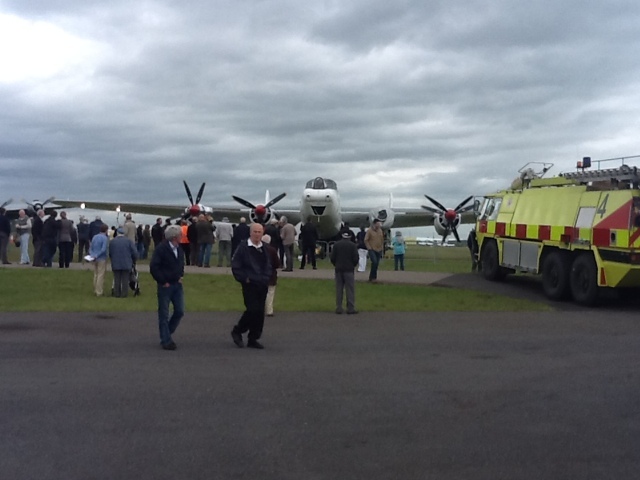 While the BBMF had to pull-out due to the forecast wind conditions, we have still been treated by The Shackleton Preservation Society to a ground engine run. Two of our Cadets were given the opportunity to join the 8 veterans in experiencing the ground-run from the inside of the Shackleton. Three of the engines were run, and with a combined maximum power of 5880hp, it made quite a growl!